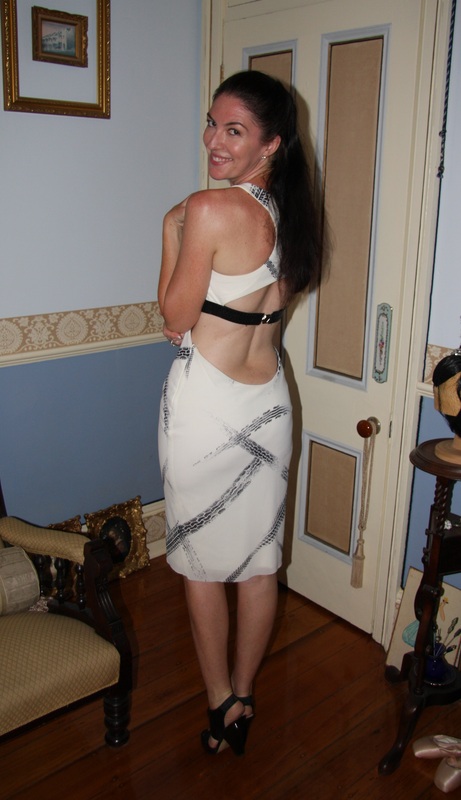 Outfit: Backless white dress with tyre track placement print. Shoes: Black heels with peep toes. Hair: Worn pulled back from face, lengths down and straight. Accessories: Sterling silver CZ stud earrings, sterling silver bangle.